Way back in 1939, the National Association of Basketball Coaches adopted the ideas of Ohio State University Basketball Coach Harold Olsen for a national playoff tournament to determine the best basketball team in the land. Before then, the end of the regular season was the end of basketball for the year. There were regional and divisional winners but a national champion game never happened. 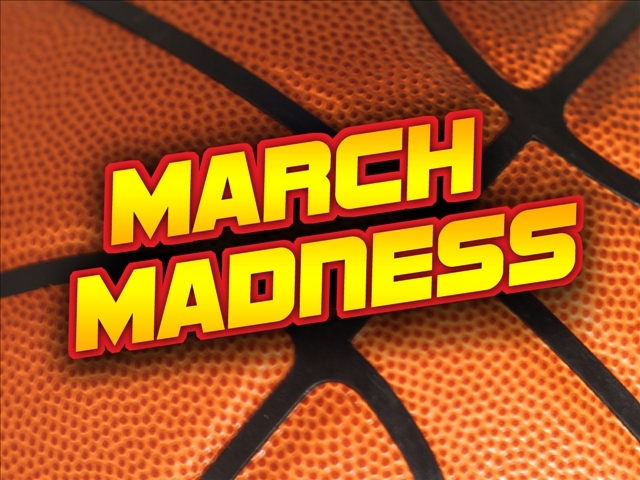 Since the tourney usually took place during the month of March and usually involved a certain amount of hysteria, the term March Madness evolved along with the other popular name for the contests, “The Big Dance”. Bob Walsh of the Seattle Organizing Committee is credited by the NCAA with having started the “March Madness Celebration” in 1984. March Madness has become the name of the NCAA Men’s Division I Basketball Championship, which is a single-elimination tournament held each spring in the USA to determine the top colligate hoops team in the country. It starts off with 68 teams from all over the nation and any school, of any size, once invited to participate, plays on the same level with any other. Number one seeds start off playing the bottom seed in each division, the number two seed plays the team next to the bottom of the division and so on until each team has had a turn in the first round. And then there are 32 teams left and the process starts all over again. The most dominating team in the history of NCAA Basketball was, without a doubt, the UCLA Bruins under Coach John Wooden. Wooden was a former three-time All-American as a player and he coached UCLA Basketball for 16 years before a combination of his up-tempo offense and a good zone defense brought the Bruins into national prominence where they stayed for the next ten years establishing themselves as one of the most dominate teams in NCAA history. Many fans and writers alike consider John Wooden to be the greatest coach in the history of the game. To this day, UCLA still leads the nation in NCAA Basketball Championships with 11. The University of Kentucky comes in second with 8 titles while Indiana University and the University of North Carolina are tied for 3rd place with 5 apiece. Duke rounds out the list with 4 national championships. Basketball fans across the nation are waiting with eager anticipation for March to roll around again. I know I am! Bring on the Madness once again!